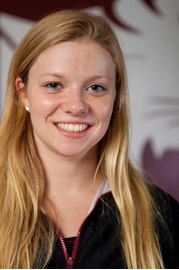 The Bobcat Chronicle: Smachlo DIII Swimmer of the Week! Smachlo DIII Swimmer of the Week! Congrats to first year, Julia Smachlo for being selected Division III Swimmer of the Week! Her performances from our back to back meets against Bowdoin and Colby, earned her this recognition of being the best in D3!